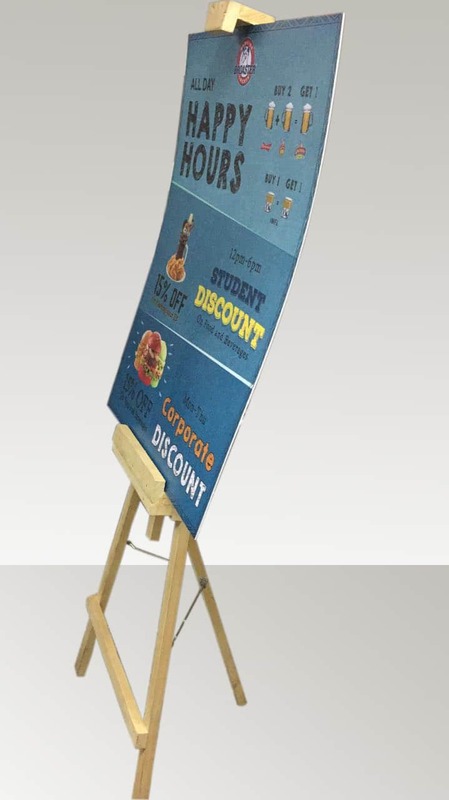 Easel standee as the name suggests creates an information or product image display stand, using an artist’s easel. 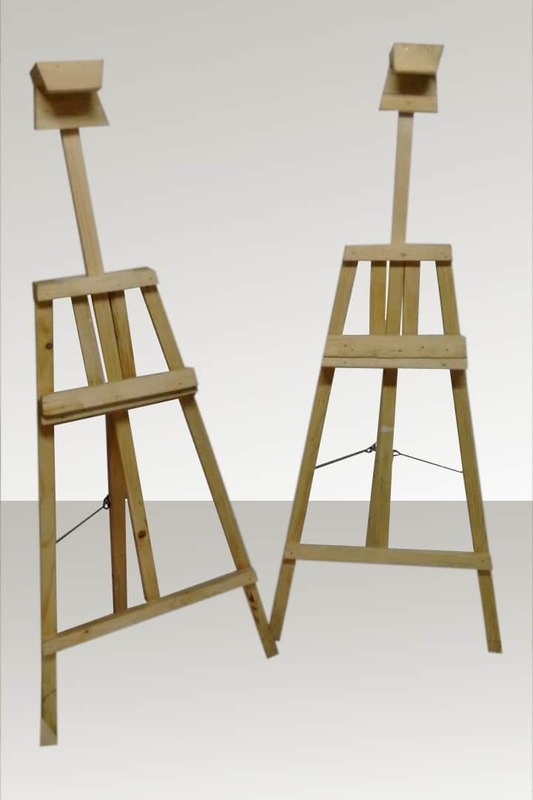 One of the most common places you’ll see an easel stand is outside a hotel. 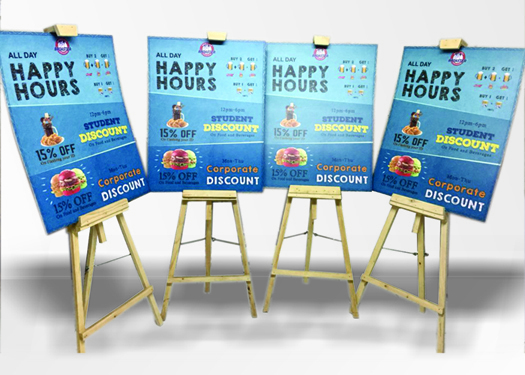 Walk through any modern mall or high end shopping street and you’ll see these wooden stands holding up a sheet of printed sunboard. 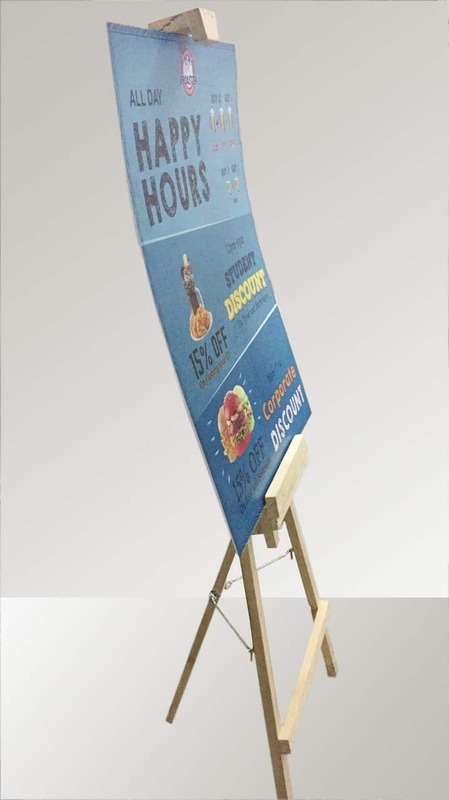 This sheet would display the menu of a hotel, along with alluring food shots. The printed sunboard / foamsheet: Sunboard is rigid sheet of plastic which can be printed upon. Click here for more details on the same. 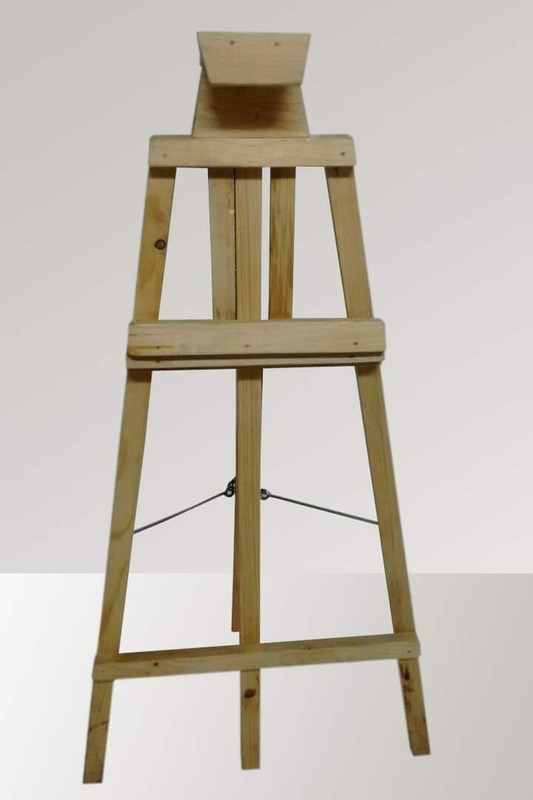 While the easel acts as a support structure, it is the printed sunboard that the customers are actually looking at. 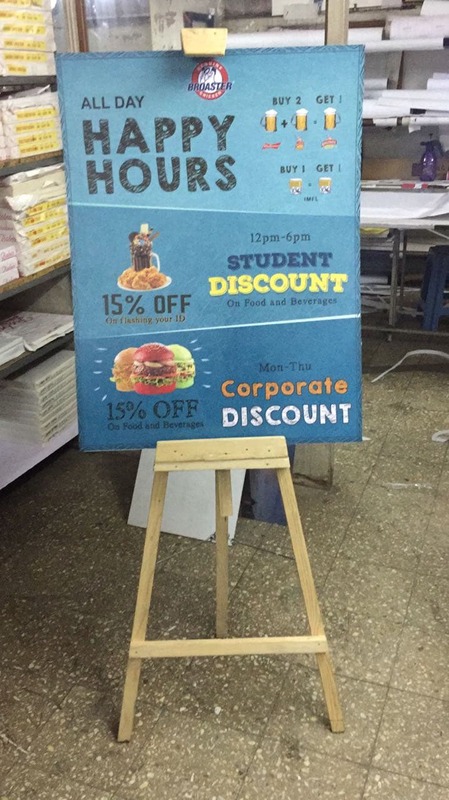 So make sure that your artwork shows the products / services in an extremely alluring way. 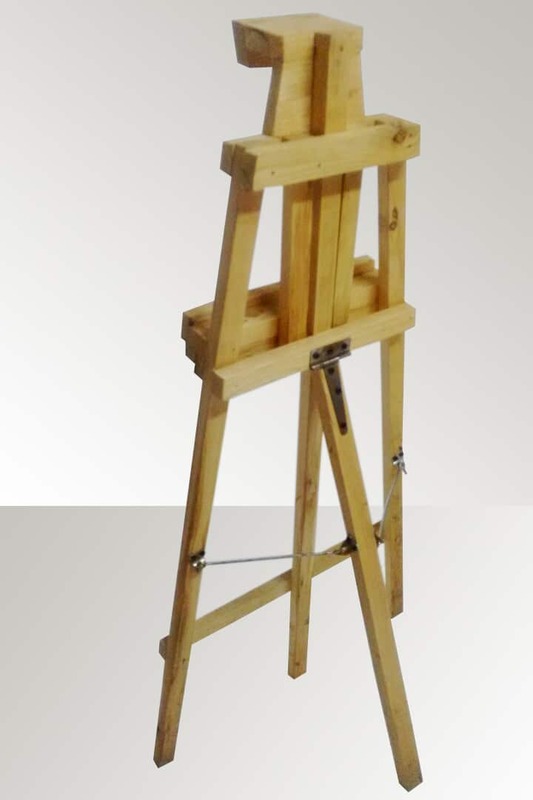 The flat and rigid foam sheet is placed on the front of the easel.